I think Toei/Bandai could work with Hasbro. You can choose to believe me. But i have seen the Power Rangers Hasbro line up for spring. The initial batch of lightning collection has Beast Red , Blue , Yellow and MMPR White. They will be out in May. The more kid oriented stuff will be out in April. They will be 6inch and include some piece that connects to the morpher. We also get masks , titan heroes and a 6inch zord line. I generally have no idea what is going on 99% of the time. That does seem more likely since it is the new season they need to promote. Yep, can't complain. Different, cheaper options over the flawed Go-Busters figuarts and more or less confirmation that we'll eventually get Beet and Stag too? I'm game! Roughly this sounds about right for now. Though later expansions and tweaks will come too. For now, it needs to fit into the current market and retail demands. Which they want to show a seamless transition of the toys for the generic show label ones, with then the new debut of the Lightning Collection as the collector focused ones. Was expected that Beast Morphers would be the earliest lightning collection too. Get the likeness licenses done now while you got the actors on staff/under contract. No idea what they're going to do for the "questionable history" rangers though on that. Those would likely be a skip on swap heads and bumped way to the back of the list for now, or offer some kind of alternative route. But they do want to keep the swap heads for as many as possible. Comic characters and Hyper Force are possible too. The Zord line is correct entirely though. Was one of the driving reasons for the purchase in general. The CW system was developed at Hasbro anyway. As for wider shows. A few are still in rights limbo of unknown areas. But some surprises are in store when all the finer details can be ironed out. 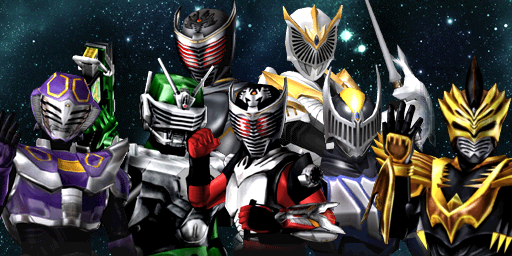 Tir Na Nog isn't on any kind of radar for now, nor Beetleborgs for now, but Riders and extended side heroes are(Jiraiya), as well as VR Troopers(maybe). But again, that's pending getting the finer details worked out first. Riders right now are solely only focused on anything used in show. Nothing more as yet, and even that's debatable for now. Last edited by Librarian; 10-29-2018 at 07:57 AM..
Well, here's hoping the Lightning Collection lasts for years to come, because it's the closest thing we're gonna get to collector-quality Sentai figures.